Happy New Year! Are you ready for an awesome year of reading. I certainly am. I'm so glad you all are joining me for another ride around the world and welcome to everyone who is just deciding to join us. See the picture above. It's an empty road waiting for you to tie those shoes on or put your foot on the accelerator and walk, run, drive, fly to new destinations. I'm a bibliophile, a self professed bookworm. Reading is my passion and as necessary to me as breathing. I'm the type of person who gets cranky if I don't read - daily. I love books that entertain and enlighten, books that take you away, books that take you on a voyage - a mind voyage. I'd rather take a mind voyages and exploring new places, worlds, lives, people, rather than watch TV. The goal of the challenge is to read 52 books. Ordinarily you'd think, okay I'll read at least one book a week and reach the goal. However, there are books that take longer than a week to read. And there are some books that can be read in two or three hours. I'd hate to see anyone sacrifice quality for quantity by reading a short book just to make the goal for the week. Read what you want, explore and dive into those longer books, engage your mind and soul and don't worry. Do your best and challenge yourself and see what happens. There are many different challenges built in to satisfy just about everyone. 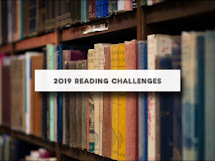 There are a few links under the header which will introduce you to some different challenges: Armchair Traveler, Ireland Reading Challenge, Jane Austen, Mind Voyages and Well Educated Mind. There are plenty of links for you to explore under each header. Over the year, I'll be adding more links when I come across interesting books in the categories. There will also be some mini weekly challenges that will be coming up. Your choice if you want to participate or not. I'll be shamelessly borrowing from other challenges around the blogosphere presenting you with ideas for books to read as we go along. If you want to read classics and they're huge chunksters, then shoot for 12 classics in 12 months. If you only want to read Science Fiction and Fantasy, then dive in to a Mind Voyage and journey around the planets. So, let's take a journey together and see where it takes us this year. Please link to your specific book review post and not your general blog link. In the Your Name field, type in your name and the name of the book in parenthesis. In the Your URL field leave a link to your specific post. If you have multiple reviews, then it will be find to link to your general blog url. Thank you, Robin, for hosting this challenge again! I started Every Man Dies Alone late last night and my guys were kind enough to let me have the entire day and this evening to myself to read. As with any novel set in Nazi Germany, the subject matter is difficult. The writing, and the author's story, however, are fascinating. I am so looking forward to this! Thank you for hosting. Thanks Robin! Looking forward to another fun year. Just finished my first book of the challenge. =) I read Island of the World. I have been changed. Finished by first book- Forbidden by Wilma Wall. It is set right after WW2 and is a Christian love story between a Japanese-American and a Mennonite! Great easy read that helps one focus on God's ability to overcome whatever the challenge! Thanks for hosting, I'm excited to meet new book bloggers and see what everybody is reading this year. My first book was "The Orchid Thief" and it was recommended by my museum's bookclub. It was an interesting read and certainly not one that I would have picked for myself. This is my first time participating; I hope the first time of many this year! I read and reviewed Story Craft: Reflections on Faith, Culture, and Writing by the Author of Hank the Cowdog. First 2 books of the year, difficult reads. One down, 51 to go! :) I posted my book and a little review to go with it. Diving in. Had to take a break from David Copperfield so I went for a modern classic, Alas, Babylon. I reviewed Time Traveler's Wife & Shepherding a Child's Heart this week. Happy Reading! I read Ressurecting Anthony this week. It was a true story of couarge and destination. This family of 4 is rocked when their son of 12 has a heart attack on the playground. It was written from the father's point of view and I loved that they didn't just give up. They both have done everything that they can think of to bring back their little boy. Good read. I had it on my calendar to check in on the 9th, forgot all about a week! I read "Swiss Family Robinson" this week. I chose this book because my dad was watching the movie on TV over Christmas weekend and I only caught the very end. I wanted to know what happened at the beginning. Imagine my surprise that the ending of the book bears very little resemblance to the movie. I should have suspected as much:) The main thing I took away from this book is that I want to be like Father Robinson in that I can just pull a skill out of thin air and make it happen. I want to be able to identify every plant and animal species known to man and know how to use it to my benefit. I know the book is completely unrealistic, but it sure would be cool to be that well educated. You guys rock! I'm slowly making my way to read your reviews and thoughts and blogs. Keep it up!